Need a site that could help you solve computer-related issues? We must inform you about UGetFix. The website was introduced by the team of NoVirus almost one year ago. If you have problems with your computer, you are more than welcome to use its guides. What has encouraged us to launch UGetFix? After spending years dealing with different computer viruses (browser hijackers, spyware, rogue anti-spyware, adware, malware, ransomaware, keyloggers, and other types of cyber threats), we noticed that all of these issues cause additional troubles for users. Besides, people are constantly looking for help with simple tasks as well, such as guides for uninstalling software or disabling specific errors. Different errors can cause different problems and inconveniences that need to be explained. In order to help people find needed information easier, we have decided to introduce UGetFix. It’s important to mention that our website is useful for both, Windows OS and Mac users. Nowadays, the Internet is full of free software which has a different purpose. Some apps are suitable for entertaining, others – for improving our work or browsing experience. On the one hand, people’s needs are different, and they need different software to benefit their lives. However, it is easy to get lost in such a huge variety of apps. Trying to find an app that fulfills their needs, they constantly install and uninstall software from their computers. The problem is that users believe that uninstalling program from the system is as simple as installing. Unfortunately, this is not true. Software removal takes time and effort because users need to delete registries and related files. What can happen if software is removed inappropriately? Consequences might be severe. For example, people might notice slow downs on their computers, constant crashes on their browsers, and similar problems. Also, they may be interrupted by fake pop-up notifications reporting about the lack of disc space or RAM. It is just a small report on what can be caused by removing software inappropriately. UGetFix lets you find out every little tip which must be known while trying to keep your computer at its best shape. 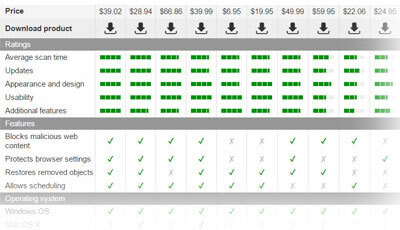 Besides, its team keeps updating the database of questions, added by users, and answers to each of them. While trying to help them solve their issues, we have also launched “how to” articles on different topics. Finally, as a result of long and careful analysis, the best software for optimizing Windows and Mac operating system was selected. 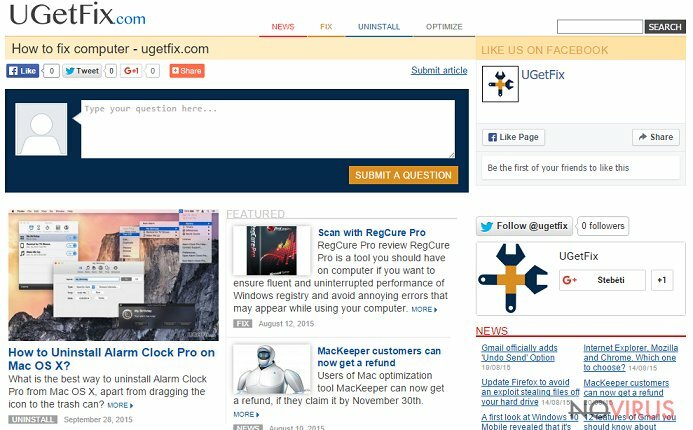 If you have problems with your computer, don’t waste your time and look for the best solution on UGetFix. If you can’t find any useful information or topic, feel free to submit your question and tell us about it! This post was published on 2016-08-17 at 13:39. Category: General, News.